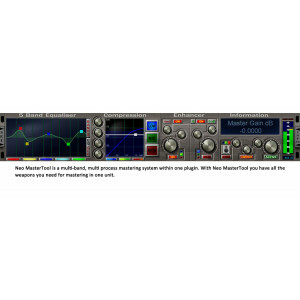 Neo MasterTool is a multi-band, multi process mastering system within one plugin. With NeoMasterTool you have all the weapons you need for mastering in one unit. utilizing the same technology used in Neo DynaMaster. Neo MasterTool provides high quality multi-band dynamics processing. Band split points and dynamic curvesare set by simply clicking and dragging on the GUI making it very quick and easy to achieve your goal. Bass and High Dynamic Enhancer in Neo MasterTool alters the existing signal level within the frequency range, thus enhancing the dynamic feeling of the signal. Neo MasterTool provides meticulous control which helps you to engineer the final sound. Neo MasterTool also provides a Bass and High Psychoacoustic Harmonic Enhancer. The Psychoacoustic Harmonic Generator in Neo MasterTool is a specially designed circuit that generates musically related harmonics within a tightly controlled range. When applied to Bass frequencies it adds more body and depth which is ideal for in-ear headphones. When applied to High frequencies it adds more clarity, focus and air allowing each element to breathe. For our Spatial Enhancer module, Neo MasterTool utilizes a unique custom designed quad mode, multi-band circuit to alter the stereo image, enhancing the spatial awareness of the listener. You can also select Headphone or Speaker Mode which could to fit for your monitoring system. In addition to the “weapons” provided above, Neo MasterTool also includes a comprehensive metering system allowing you to see critical signal levels clearly; see the overall loudness and level for each band as well as the main output. 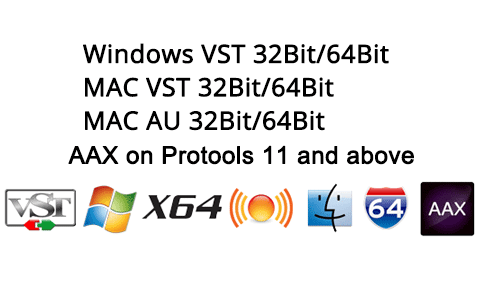 Neo MasterTool also provides M/S processing mode and ‘NewYork’ compression. Extension Packs extends Neo MasterTool's ability and help its users to target specific music styles. With it, you can release the full power of Neo MasterTool and can find ideal Mastering Settings in all cases.